Submit your latest songs, videos, EP, mixtape, album, press release, etc. to us for an exclusive feature. We are always looking for new songs/videos/EPs/mixtapes/albums to feature on our website, social media, and curated Spotify, Soundcloud and YouTube playlists. Submit your material to us and we'll check it out. Because of the high volume of submissions we receive daily, our follow-up correspondence may take some time, but rest assured that we listen to and watch everything we receive, but cannot feature everything. Only send us your material using the form below if you do not have a press release. If you do have a press release, email us directly at info@dopecausewesaid.com. 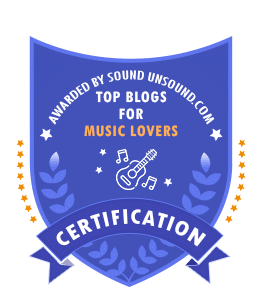 Only send us your best, new material in the genres of Pop, Hip-Hop, RnB/Soul, Americana/Folk, Electronic, and the other subgenres you see already featured on this platform. Only send us Soundcloud/Bandcamp/Audiomack/Spotify embedded links of your songs and YouTube/Vimeo links for videos. Subscribe to The CAB Portal artist and producer development and strategic music submissions platform. Learn more about it HERE. Don't use the Music Submission Form if we have featured your music before. If we have, email us directly at info@dopecausewesaid.com. Don't submit any material to us older than one month old. If your submission is approved for publication, we'll reach out to you asking for follow-up material such as an official bio and 2-3 high quality pictures. Do not send us low quality selfies of yourself to be posted with the feature. Don't send us a song/video embed without anything else included in the email. It automatically gets deleted. MEDIA related: If you have an upcoming song, video or project (mixtape/EP/album) dropping soon or performance on the horizon, send us an official press release and we will promote it on our site as well as our social media (Instagram/Facebook/Twitter). Please send the information as a final version. We will not write it for you; we publish what we receive. ATTENTION: If you have a new EP, mixtape, or album coming out soon, email us with the release date, promo pictures, and other pertinent information and we will allow you to 'Take Over' our website the week of its release in order to promote it. This ‘Takeover’ includes a customized landing page which will replace our homepage, an interview with you to discuss the project, a review of the project, and more. For more information, email us at info@dopecausewesaid.com. If you're submitting a song, who produced? If it's a video, who directed it? If it's a project, are there any other artists featured and who provided the production? Tell us about your submission and why we should feature it on DCWS! Thank you for your submission to Dopecausewesaid! We'll get back to you at our earliest convenience.